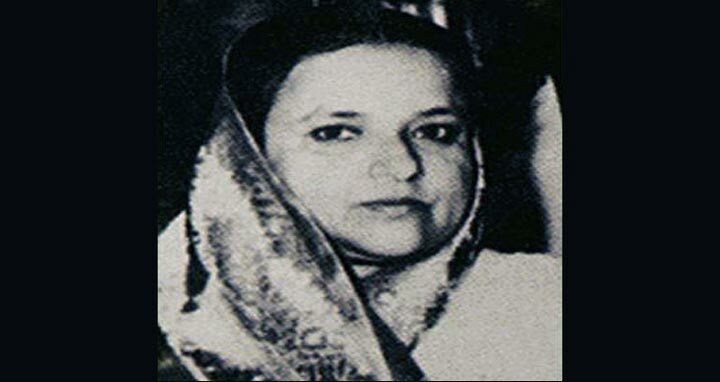 Dhaka, 7 August, Abnews: The nation will observe the 88th birth anniversary of Bangamata Sheikh Fazilatunnesa Mujib, wife of Father of the Nation Bangabandhu Sheikh Mujibur Rahman, in a befitting manner tomorrow. Fazilatunnesa, who played a pivotal role in nation building activities and the struggle for independent Bangladesh staying beside Bangabandhu, was born at Tungipara village of Gopalganj district on this day in 1930. Bangamata, a pride of the Bangalee nation, was assassinated brutally with Bangabandhu and most of her family members by a disgruntled group of army officers on August 15, 1975. The birth anniversary of Bangamata will be observed nationally this year too. Women and Children Affairs Ministry has drawn up elaborate programme to observe the day nationally. To mark the day, a discussion will be arranged at Bangabandhu International Conference Centre (BICC) tomorrow morning. Prime Minister Sheikh Hasina is expected to attend the discussion as the chief guest. A documentary will be screened on Bangamata. President M Abdul Hamid and Prime Minister Sheikh Hasina gave separate messages on the occasion of the birth anniversary of Bangamata. Bangladesh Television, Bangladesh Betar and other electronic media will broadcast special programmes while a souvenir will also be published marking the day. Various political, social, cultural and student organizations, including ruling Bangladesh Awami League and its associated bodies, will observe the day in a befitting manner through elaborate programmes across the country. Awami League leaders and workers will pay homage to Bangamata by placing wreaths at her grave at the Banani graveyard at 8.30pm. Qurankhwani, milad and doa-mahfil will be arranged seeking peace of her departed soul. A cross section of people will also place wreaths at her grave. Bangamata Parishad will arrange a discussion at the National Museum at 4pm tomorrow. Health and Family Welfare Minister Mohammed Nasim will attend the function as the chief guest. Dhaka University Bangamata Sheikh Fazilatunnesa Mujib Hall will organise a programme titled “Bangamata Sheikh Fazilatunnesa Mujib Memorial Gold Medal, Scholarship, Memorial Lecture and Discussion” tomorrow on the occasion. DU Vice Chancellor Professor Md Akhtaruzzaman will attend it as the chief guest while writer Selina Hossain will present the Bangamata Sheikh Fazilatunnesa Mujib Memorial lecture. About Bangamata, Deputy Leader in the House and AL Senior Presidium Member Syeda Sajeda Chowdhury said Bangamata, who used to lead a very simple life, always gave inspiration, strength and courage to Bangabandhu to lead the nation. Bangamata also used to give necessary directives to workers and leaders of AL when Bangabandhu was imprisoned in different times, she added.